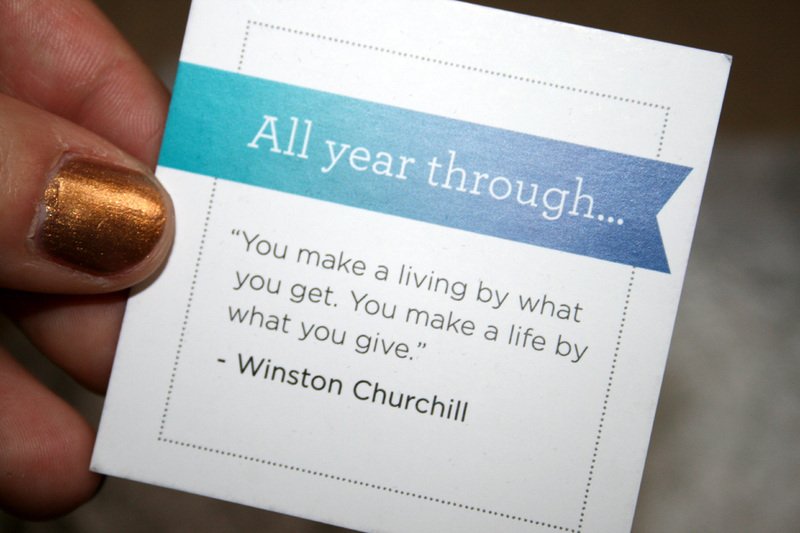 Today, I am bringing you my December Julep Maven box. This one is going to be picture heavy. 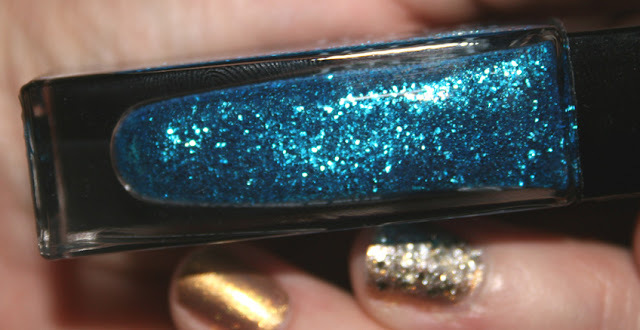 If you're a frequent reader of my blog you know I gravitate to anything sparkly! Well...December was THE BOSS of sparkle! I had to upgrade to the whole box AND get add ons! The add ons were not any of the box colours. I about died! These colours in person are phenomenal! If you want to upgrade to a full box (all that months products) it's an extra $30. Well worth it in my opinion! This is what my December box looked like MINUS the 3 add ons that came separately! As usual they put in a little quote. I like to keep these and tuck them away for inspiration. Now..on to the FUN part...the colours! 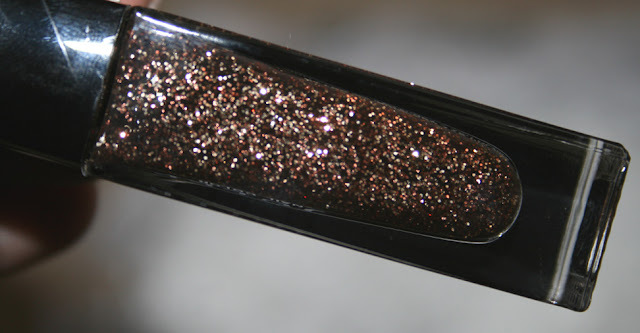 Hilary - full coverage, copper multi-dimensional glitter. 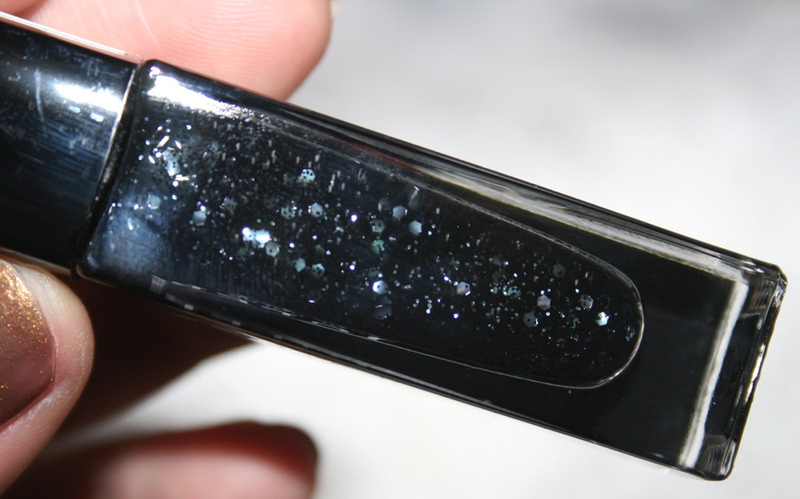 Patti - full coverage, black multi-dimensional glitter. 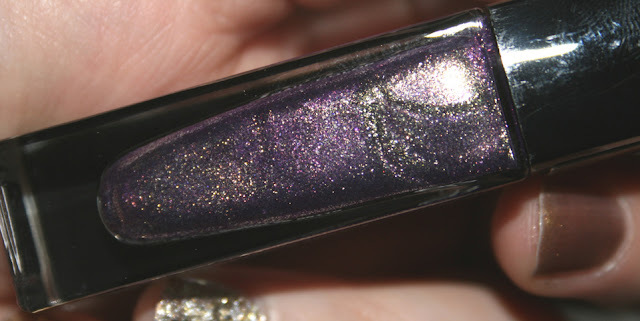 Vivien - full coverage, multi-dimensional gold glitter. Dubbed, "Champagne Bubbles." 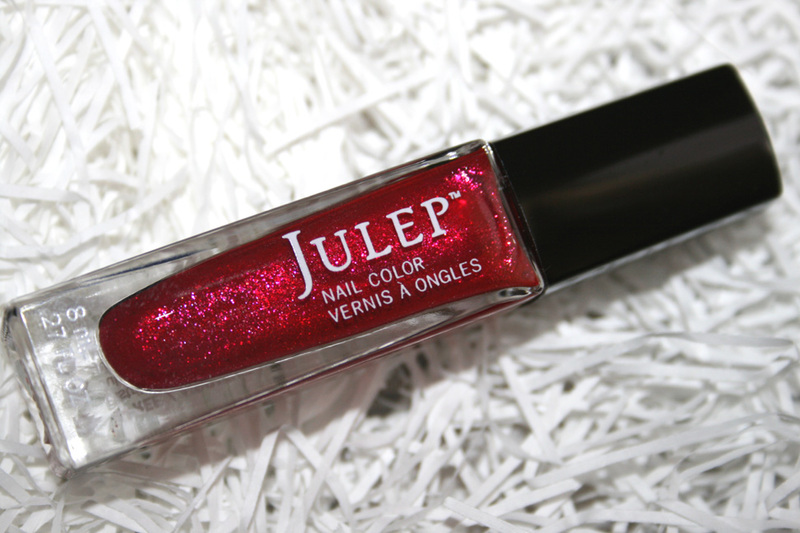 Scarlett - vibrant red micro-glitter metallic. Harper - full-coverage opalescent mermaid blue multi-dimensional glitter. 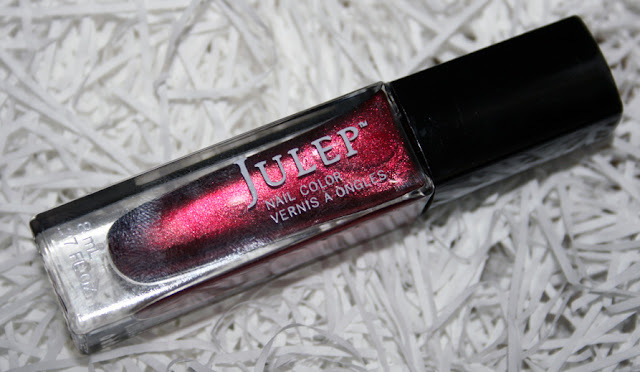 Petra - cranberry magenta with silver shimmer. 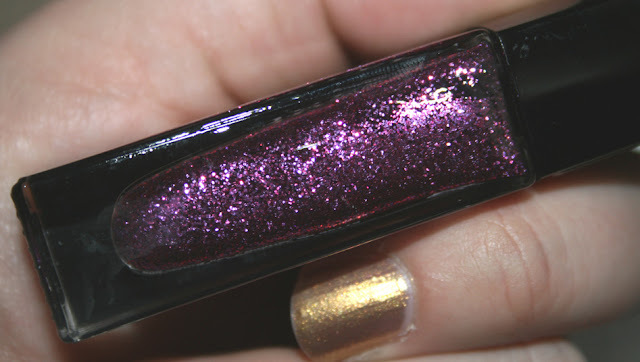 Barbara - full-coverage, magenta multi-dimensional glitter. 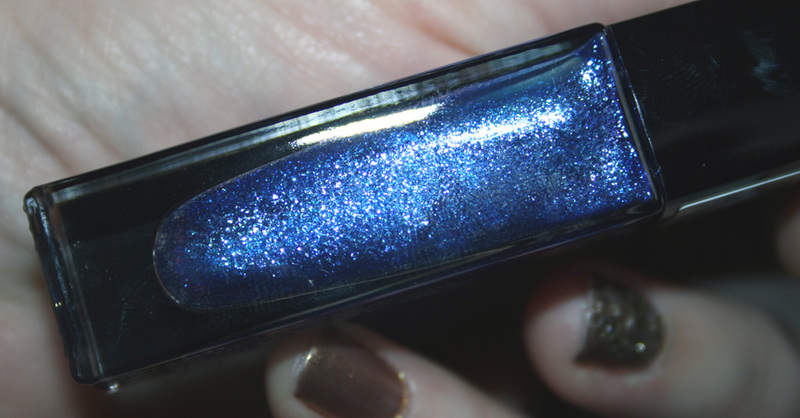 Ivy - dynamic sapphire micro-glitter metallic. Cindy - emerald green with gold micro-glitter metallic. Julia - purple orchid with golden micro-glitter metallic. 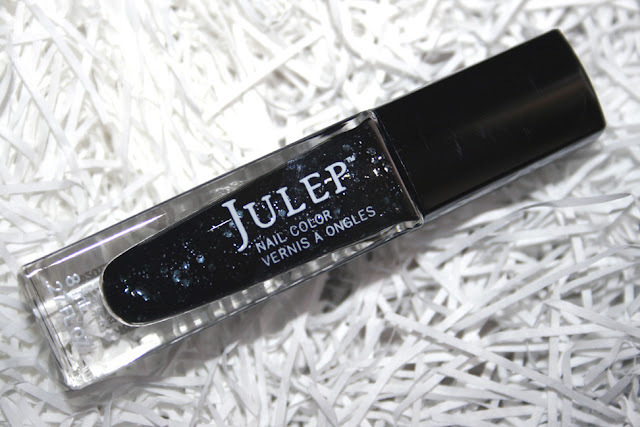 Jordan - full-coverage, silver gunmetal multi-dimensional glitter. These are the 3 colours that I chose as add ons. There were 5 to choose from. I went for the sparkliest, of course! 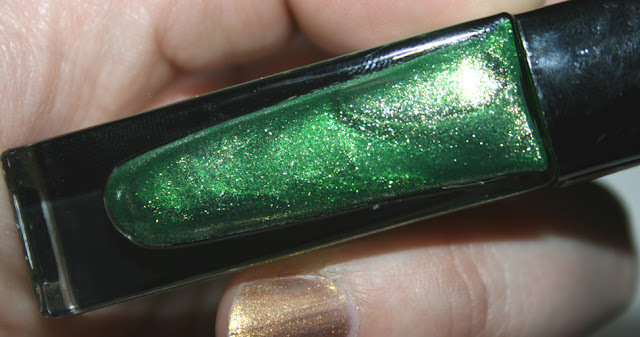 Colbie - full coverage, citrine green muti-dimensional glitter. 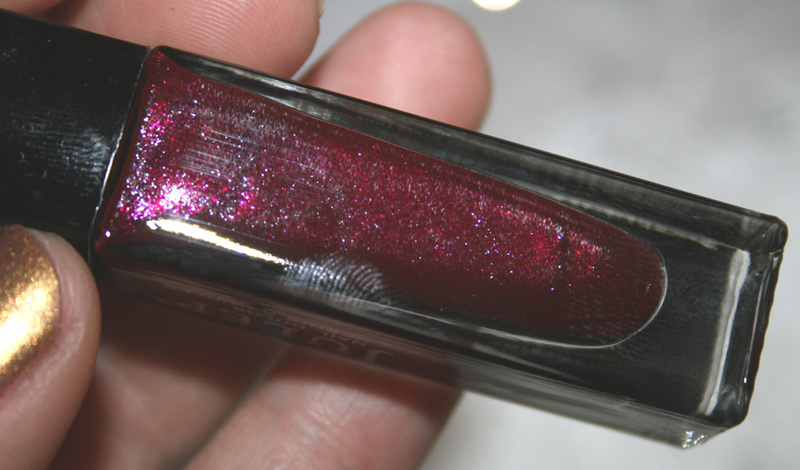 Sharon - dark, bold red shimmer. Carly - full-coverage malibu blue multi-dimensional glitter. 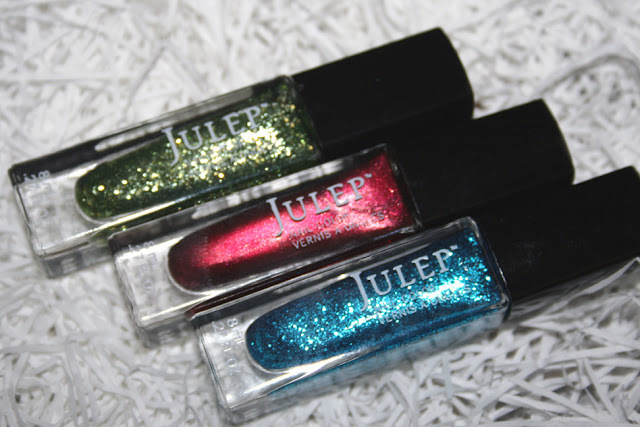 Here are all the 14 colours in their beautiful sparkling glory! They're almost too pretty to put away, non?! 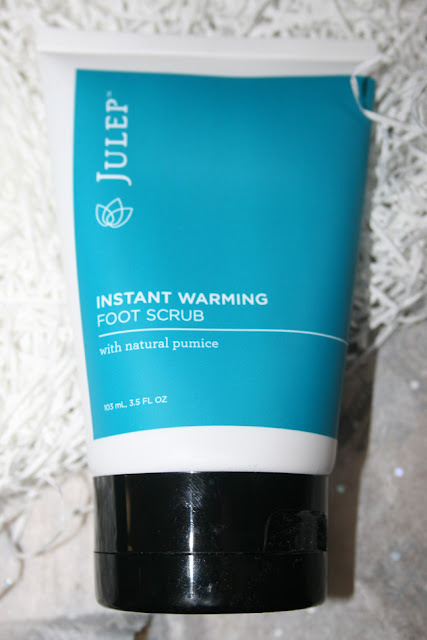 Included as the product was the Instant Warming Foot Scrub. It's cucumber mint scented and warms up on contact! The bottle is 103ml. Can't wait to try it. They, also included a little goodie for us for Christmas. 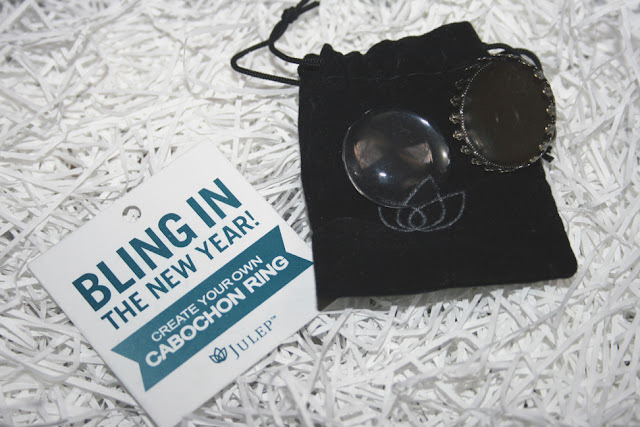 It is a create your own cabochon ring! I love when they include sweet treats! I've never heard of these mints before...but they were semi hard almost spongey...odd texture but I LOVED it! 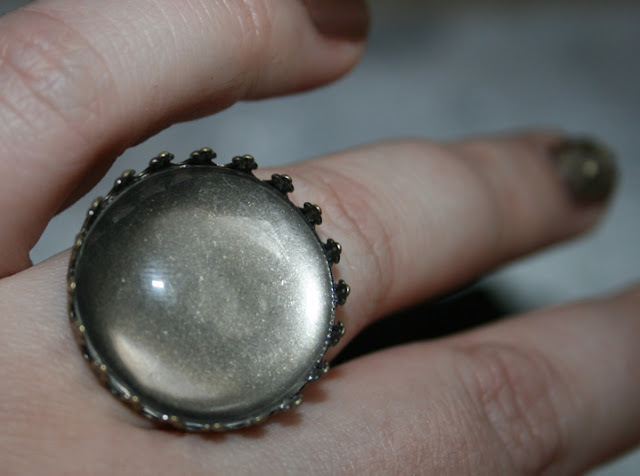 Now, I probably will never have it again because I wouldn't know where to get it, lol! This was my whole box! It was probably my favourite to date! It's so pretty and colourful! What do you think? 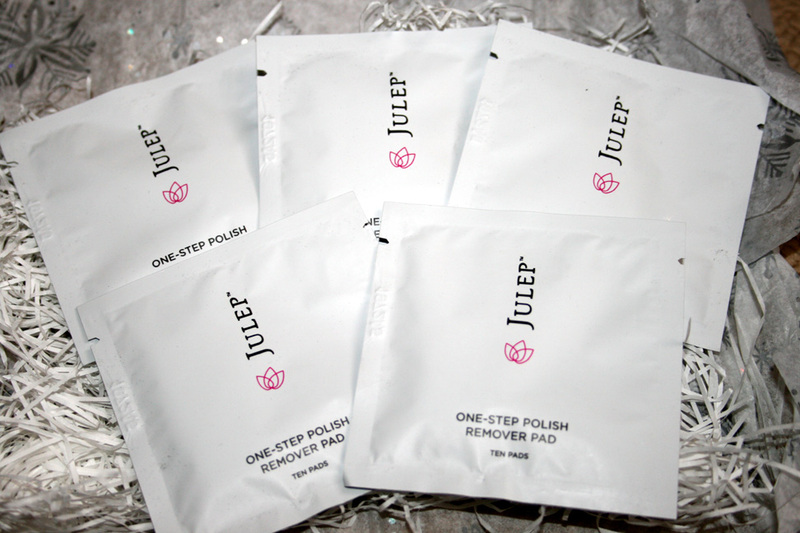 Well, I hope you enjoyed this post and we'll see you really soon with my Topbox unboxing! I know! I love glitter, so!! It took SO MUCH willpower not to get all of the glitters! 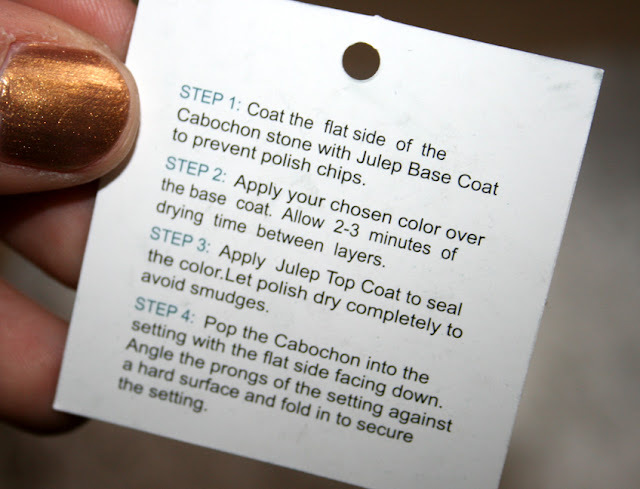 December's polish choices were amazing! I liked the mint too! I want to know where to get them! I'm working really hard on that willpower! I'm getting better but it's hard SO hard to pass up good deals! 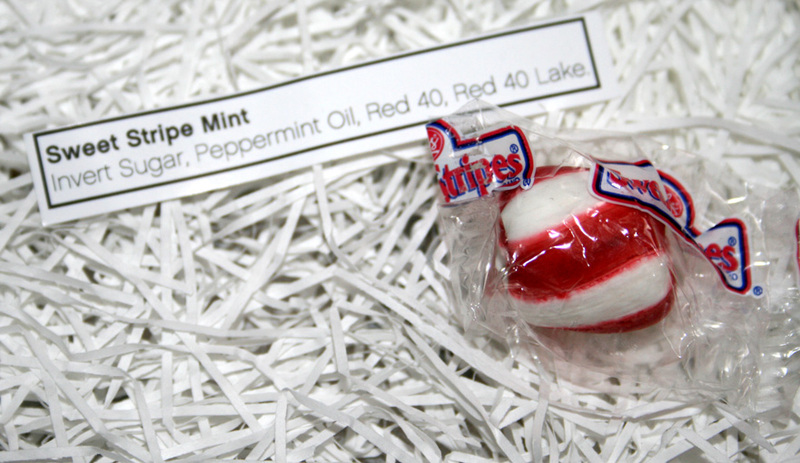 I wonder if Bulk Barn carries these mints? Great pics! I didn't get Carly as an add on with the Dec box, but I ended up getting it in a boxing day deal. I'm still wearing the colours from this month (currently have on Petra with Barbara accent). Love glitters too! Oh and you got another Liebster award from me! They are such gorgeous colours right? I think it was my favourite collection to date! Thank you for the award, Margo! holy moly! so colorful and so pretty!!! your pictures are great too! which ones are u gonna use first?